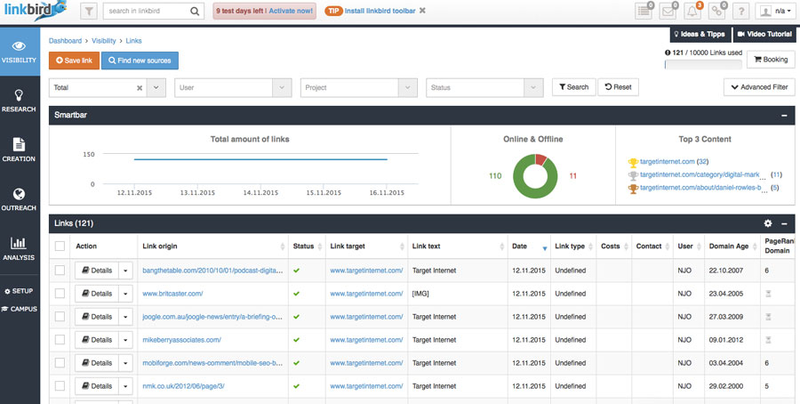 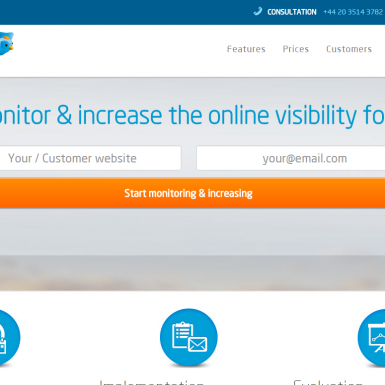 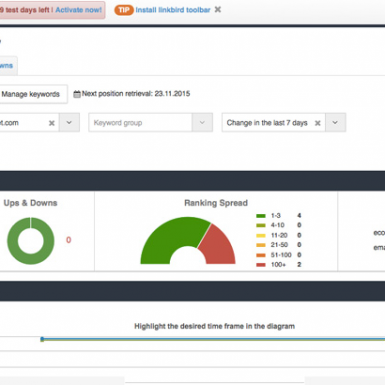 LinkBird is a set of tools which helps you to increase and improve your online presence. 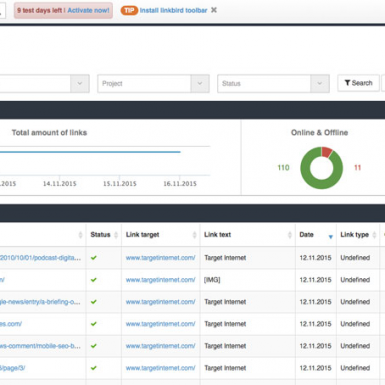 It allows to perform research, backlinks tracking and analysis, get alerts and reports, plan campaigns, monitor yourself and other’s websites positions, manage communications and more. 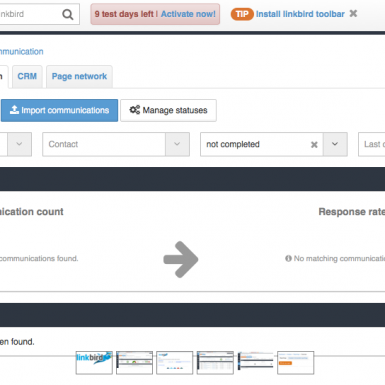 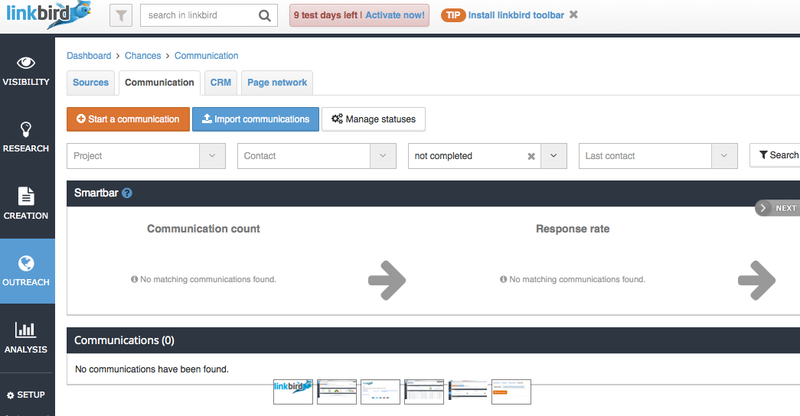 For instance, Linkbird fires off email alerts when it finds a new backlink pointing to your site.